Woodside Crafts is a social enterprise that gives people with mental ill health the chance to learn new creative skills such as woodwork and carpentry, flower arranging and jewellery making. Its motto is ‘Empowering through creativity’. All their wonderful stock is produced by people recovering from mental ill health and all of Woodside Crafts’ profits are reinvested into the business. We helped Woodside Crafts in their early days, supporting group members to develop their ideas, agree their purpose and get legal requirements right. Woodside Crafts also got support by joining a network of commercial businesses and new social enterprises, where they could learn from the experiences of others and make some good contacts across Dudley. 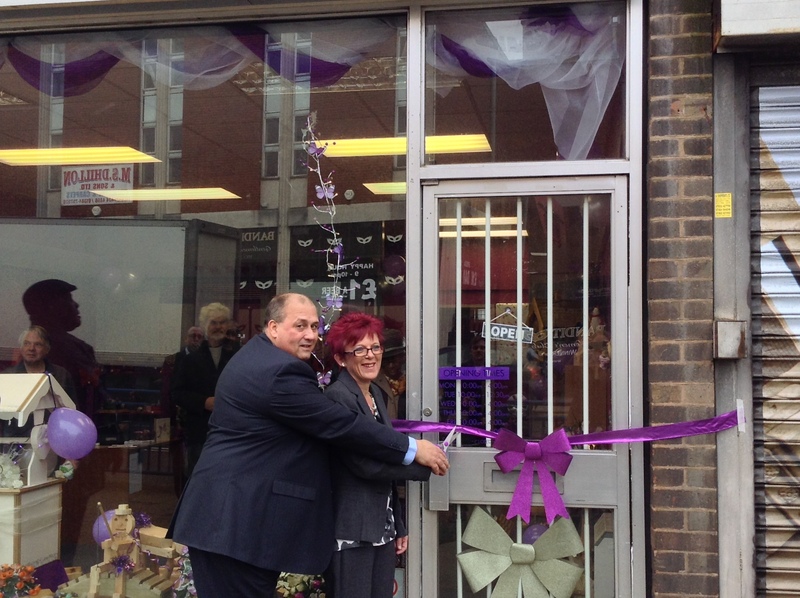 Over the past few weeks since landing their first shop in Dudley, Woodside Crafts and their team of volunteers have transformed the space into a purple wonderland of hand-crafted items such as clocks, chess sets, garden ornaments, trinket boxes and book ends. As well as the shop, the space also has two workshops where items can be made to order and other groups can learn creative skills.